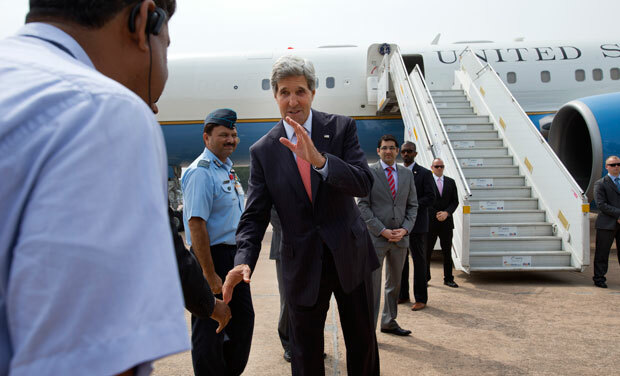 International experts monitored the visit of US Secretary of State John Kerry to India at the end of June this year with great interest, considering that it can set the tone of cooperation between the two countries in the coming years, especially in key areas where the interests of India and the United States intersect. First of all it is about security issues associated with the dramatic rise of China’s power, and stabilization of the situation in Afghanistan, especially after 2014. Some economic aspects were also reflected in the course of this visit. Some American observers believe that in the long term, the United States should seek common ground with the South Asian giant, endorsing its role in Asia. A Chinese expert on United States Jonhong Shi from the Renmin University of China in Beijing said in an interview of China Central television, that the visit of the high-ranking American in India was an attempt to “courtship to Delhi aimed at constraining Beijing”. But, according to Shi Jonhonga, “India has independent foreign policy and its expectations from the relationship with the United States may not coincide with those of Washington.” For example, Indians, in his view, are dissatisfied with the traditional ties of Americans with Pakistan. Especially in New Delhi attention was drew to the United States attempts through the Pentagon to negotiate with the Taliban about interactions after United States troop withdrawal from Afghanistan in 2014. A Chinese scientist has suggested that Kerry’s interest to India, as a representative of the American administration, is dictated by the China factor, though a few weeks before the trip to India, Secretary of State called for a “special relationship” with China. Notably, that the voyage of a senior American diplomat was the first voyage of this level since the Chinese invasion in the Indian territory in the disputed area of Ladakh in this mid-April. Chinese troops penetrated into 6 miles to Indian territory and pitched tents there for three weeks. The incident angered the Indian public, who voted to cancel the visit of the Indian Foreign Minister to China, which, however, took place after the withdrawal of Chinese troops. The first foreign trip of Chinese Premier Li Keqiang in India occurred on19 May. Aware that both countries have been negotiating for over 15 years, but hopes for early resolution are very low. Thus, China claims 35 thousand square miles of territory of Arunachal Pradesh, India in turn considers 15 thousand square miles of territory in Aksai Chin plateau in the State of Jammu and Kashmir to be the art of India. But not only Chinese subject was one of the last India-U.S. talks. In July this year, Indian Minister of Commerce and finance is to visit Washington, and Vice President J. Baden will arrive in New Delhi. 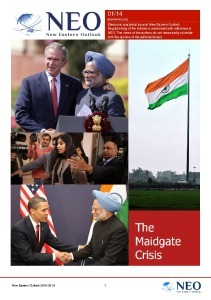 Prime Minister Manmohan Singh also plans to visit Washington in September this year. 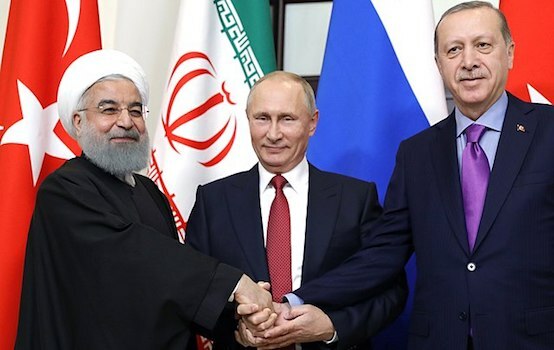 That’s why Kerry, as seen by observers, had a very important task to prepare the ground for the expansion of economic relations and discuss Afghanistan and Pakistan problem, to strengthen the influence in East Asia. Discussions on trade and economic issues, according to some U.S. observers, “failed”. According to Indian press, the Indians said to Kerry that significant improvement in this direction requires some changes in Indian law that is unlikely before the elections in may 2014. If we talk about Afghanistan and Pakistan, the main event is the withdrawal of Western and especially American troops from Afghanistan in 2014. The Indian party is concerned about Pakistan’s role and its influence on extremist and terrorist groups based in Afghanistan. New Delhi believes that the impact of Pakistan on Kabul and local Taliban group is encouraged by the Americans. Pakistan is worried about the growing influence of India in Afghanistan, primarily through economic and humanitarian projects. It is known from American sources about hopes of J. Kerry in New Delhi that India would support the Afghan economy and assist in to conduct normal elections in that country in 2014. It must be emphasized that during the rule of Obama, Americans have become more sympathetic to India’s role in Afghanistan, including security considerations. Apparently, the United States and India, as well as Russia, have common concerns to ensure a relatively peaceful and stable situation in Afghanistan and Pakistan. International observers are convinced that the United States must maintain a balance between “work” with Pakistan, particularly on curbing extremist terrorist groups on its territory and the Taliban in Afghanistan. In addition, taking into account the preliminary bilateral consultations of experts the question of “the key role of India in East Asia and the Pacific”was discussed with “comfort”. But Indian officials have expressed concern about unnecessary attention to “ascending China” by Washington, even allegedly to the interests of India according to New Delhi. In conclusion it should be mentioned that during the visit both sides have expressed interest in building a system of interaction among the Asian States, with friendly relations prevailed, not confrontational, as it is now in some cases. Valeriy Maleyev, orientalist, for the online magazine “New Eastern Outlook”.